← Satsuma and Clementine Mandarins are in! In talking to some friends and tasting their brew, I’ve learned about a new affordable luxury… roasting coffee beans. As I listened and tasted, it is inspiring enough for me to want to embark upon this journey. With this new found interest I’d like to connect you to some informative sites that offer expert advice on the topic in addition to all that’s needed to become a master roaster. 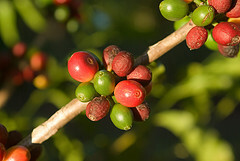 Coffee experts say that coffee is meant to be ground and brewed within three days of roasting. That’s a far cry from the roasting dates I see on packages of whole beans in stores and coffee boutiques. This kind of freshness seems hard to obtain unless you roast your own beans, a much simpler process than you might imagine. 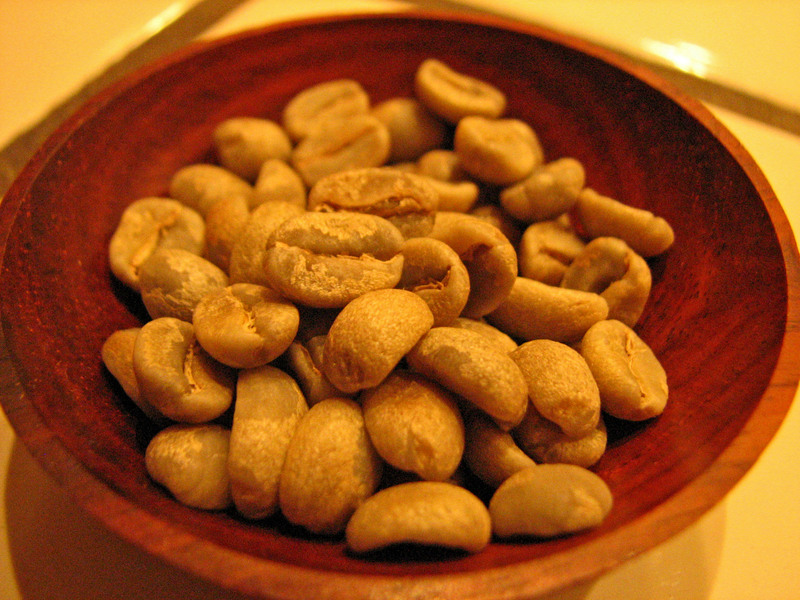 The integrity of green coffee beans can be preserved for two years when stored in cool, dark, dry conditions. That’s a HUGE difference in shelf life compared to top quality, store bought beans! Other bonuses to home roasting are the cost of raw beans and roasting to meet your household's consumption. Unroasted coffee beans cost much less; in fact, they are about half the cost of pre-roasted beans. The home roaster also has the advantage of experimenting with beans that have been picked from around the world. This includes a wide variety of certified fair trade beans. The possibilities of creating personalized roasts are endless. What a unique gift to give to a friend or party host, one that is sure to stir up an interesting topic of conversation! Coffee roasting units range in price but are a wise investment if you take your coffee seriously. And hey, let’s face it, many of us relish and even depend upon that fist cup to get us going in the morning. Why not make that boost the best cup of coffee it can be? After all, working in today’s hustle and bustle, don’t you deserve the best? I’ve found that people who roast their own beans speak a language similar to that of a wine connoisseur. They talk about the complexity of a brew’s flavor along with its relationship to the bean’s origin, and the soil and climate they’ve been grown in. Many start to favor certain beans which are described in detail by the seller. One Award Winner, Bella Visa, was given the El Salvador 2007 Cup of Excellence, a very distinguished award among cuppers. The bean is described as having: a bright sweetness with detectable notes of almond, hazelnut, orange and a hint of brown sugar. It is also noted that it has a slight winey note as it cools. See the correlation to that of wine tasting? A basic roaster is reasonably priced and can be purchased and shipped for under $100.00. A roasting unit consists of a heat element, fan, timer and a chaff filter. The roasting process is short and simple. As the beans roast the water content begins to escape, in turn, causing an audible first crack, similar to that of the pop of popcorn. Then, as the internal temperature of the bean rises, the woody, cellulous matrix of the beans caramelizes which then produces a second crack. 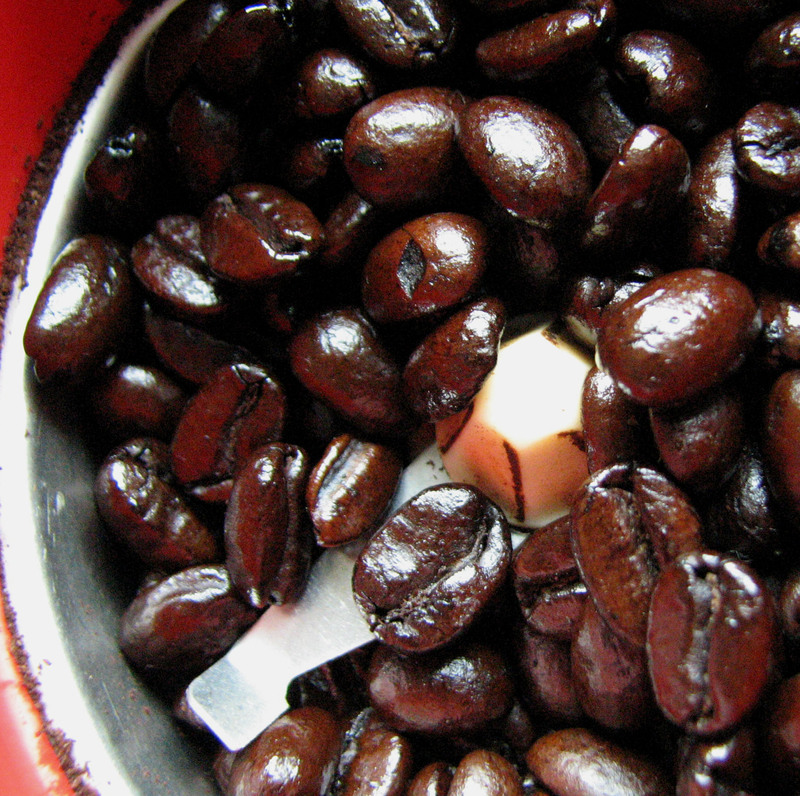 When beans are roasted too long however, there is a third crack, which is a bad sign. In short when the beans begin to char, around the time of the third crack, they should be used for nothing more than compost. Lots to see, so enjoy the view and happy roasting! I’d love to hear about your coffee adventures and favorite brews! Please send me your feedback at www.isimmer.com Oh! And by the way cheers to you who use travel mugs instead of disposable coffee cups! Thanks for stopping by!! This entry was posted in Uncategorized and tagged beverages, brewing, chef@isimmer, coffee, coffee beans, coffee roasting, green coffee beans, sweet maria's, www.isimmer.com. Bookmark the permalink. Coffee bean roaster is one of the difficult work if we do in our home.In my home my mom used to do by herself.But its difficult and too tasty. I love roasting coffee, is simply amazing, believe me. Where can I find freshly roasted coffee beans in Cincinnati, OH? Just got a new coffee grinder, looking for some freshly roasted beans here in Cincinnati, any ideas? love your information helped me a lot to me and my family. a very interesting blog. Great writing style. Keep up the good work. looking forward. Looking forward to reading more from you.